"For the purpose of my stay it was good." Have a question for Jeju Aerospace Hotel? "Room is clean and service is good too." "The rooms are very big with amazing view to the tea field an..."
Located in the lovely area of Jungmun, Jeju Aerospace Hotel enjoys a commanding position in the sightseeing, beaches, family fun hub of Jeju Island. The hotel lies 20 Km from the city center and provides accessibility to important town facilities. With its convenient location, the hotel offers easy access to the city's must-see destinations. 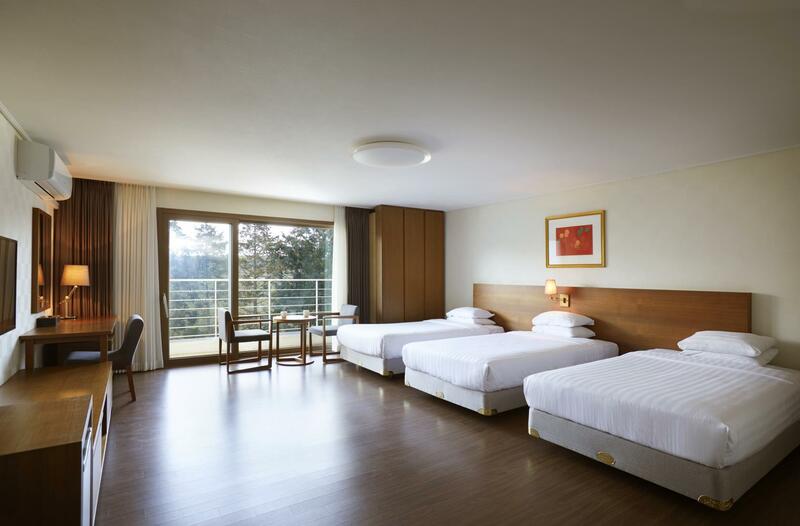 At Jeju Aerospace Hotel, every effort is made to make guests feel comfortable. To do so, the hotel provides the best in services and amenities. This hotel offers numerous on-site facilities to satisfy even the most discerning guest. 109 rooms spread over 6 floors provide a warm and pleasant home away from home. Modern comforts such as television LCD/plasma screen, towels, internet access – wireless, internet access – wireless (complimentary), non smoking rooms can be found in selected rooms. Whether you're a fitness enthusiast or are just looking for a way to unwind after a hard day, you will be entertained by top-class recreational facilities such as golf course (within 3 km), fishing, horse riding. 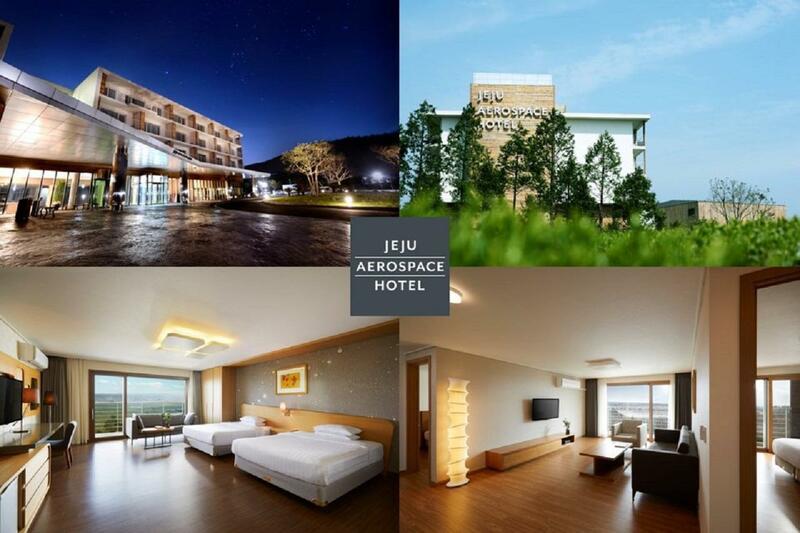 Discover an engaging blend of professional service and a wide array of features at Jeju Aerospace Hotel. I’ve eye this accommodation few years ago ever since I want to visit Jeju Island one day and glad I finally came and stay here. Indeed it is in a very remote and inconvenient area, however it is 10mins walk from O’Sulloc Tea Museum with bus stops and buses from the airport and southern part of the island(Seogwipo). The rooms are very big with amazing view to the tea field and Sanbangsan(we stayed in two rooms). The only down side of this accommodation I would say would be the front desk receptionists. They were not helpful in directions, especially already noting this hotel is in a remote area which is hard to access without car, but do have buses, they weren’t able to assist us how to get around with public transportation. We did all the research all by ourselves in despite of not understanding Korean. And one of the woman receptionist even started to walk away from the front desk as they see foreigner(us) approached. The hotel itself are amazing, however I suggest more internal training for staffs. We stayed in a triple room with a lot of space. Room is clean and service is good too. The hotel is just next to O'Sulloc tea farm & Space Museum. A convenient store is just downstair. Will recommend those who will visit the tea farm late during the day. Quiet and nice. Breakfast average. No bathtub but got 2 bathing area for triple room, save us a lot of time to prepare. Got convenient store. Good scenery! I could see the green tea plantation from my room. Very quiet and relaxing. Big room!!! I booked Deluxe Twin room for 3 people, and it was much bigger than expected. Too big for 3-4 people!! I don't understand why, but there are two shower booths as well ;D The room was very clean and I loved that the floor wasn't carpet. Everyone loved it. happy to have stayed here! very beautiful surrounding and very suitable for family ,it would have been better if they could provide shuttle bus service between the bus stop to their hotel because it was a 20 minutes walk from the bus stop. For the purpose of my stay it was good. Good location with great view. Love it. calm and beautiful scenary in front of hotel so i got a good impression about that. I like it, and i want to choose this hotel again when i take a trip Jeju island.